Earthquake experts say Saturday's Nepalearthquake did not release all of the pent-up seismic pressure in the region near Kathmandu. 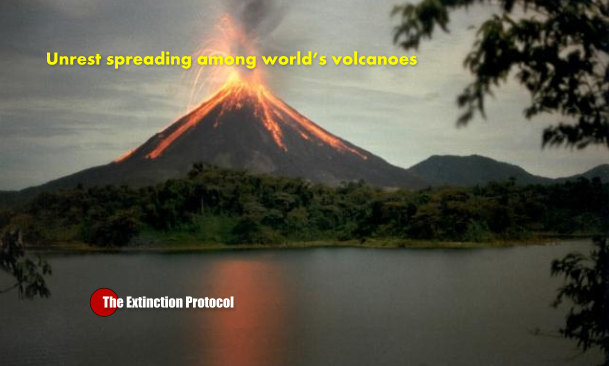 According to GPS monitoring and geologic studies, some 33 to 50 feet (10 to 15 meters) of motion may need to be released, said Eric Kirby, a geologist at Oregon State University. 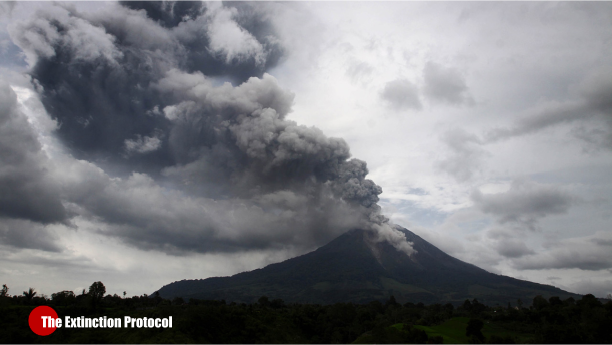 The earth jumped by about 10 feet (3 m) during the devastating April 25 quake, the U.S. Geological Survey reported. One of the region's most devastating recent quakes occurred in 1934, when a magnitude-8.2 earthquake killed over 8,500 people in Kathmandu. Before then, the last time such animmense quake struck Kathmandu was on July 7, 1255. That quake killed about 30 percent of the population. The region west of Kathmandu has been seismically quiet since June 6, 1505, when a great earthquake toppled buildings from Tibet to India. Residents evacuated, roads cut off and homes under water as rivers rise and dams threaten to burst. 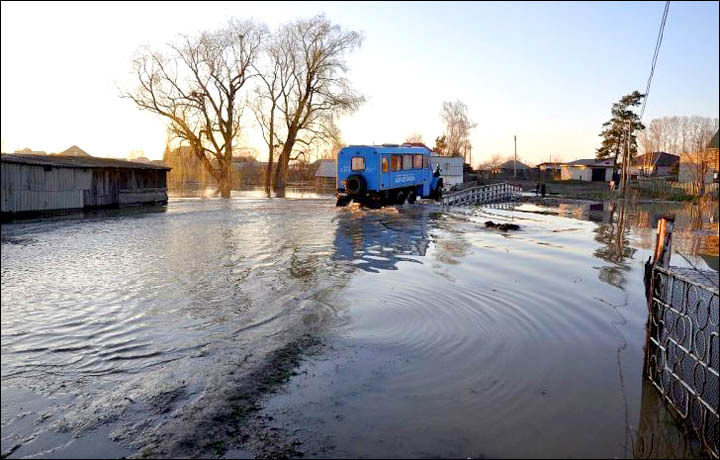 An emergency has been declared across parts of the Altai region after major flooding caused by the spring thaw of snow. Residents have been evacuated from some areas as rivers threaten to burst their banks, with more than 250 residential buildings affected. Authorities have set up 34 temporary housing shelters for people forced to move out, and at least 1,150 gardens and farming plots are under water. In the town of Zarinsk, students from the state university are assisting rescue workers while volunteers are being sought to help shore up a dam on the brink of bursting. Photographs from the region show roads and fields flooded and homes under water. By yesterday afternoon 27 settlements across 16 municipal areas where flooded by the melting snow. 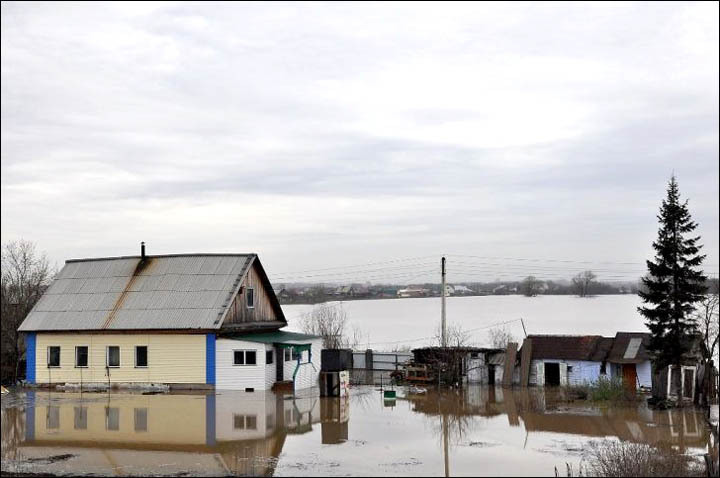 Zarinsk, which has a population of about 48,000 people, is among the worst affected residential area, with the Chumysh River having swelled by 19cm over the past day. By 8am local time on Monday 173 buildings and 306 gardens and farming plots were under water and 166 people, including 27 children, were evacuated. However it is thought the situation will worsen, particularly if the dam breaks. 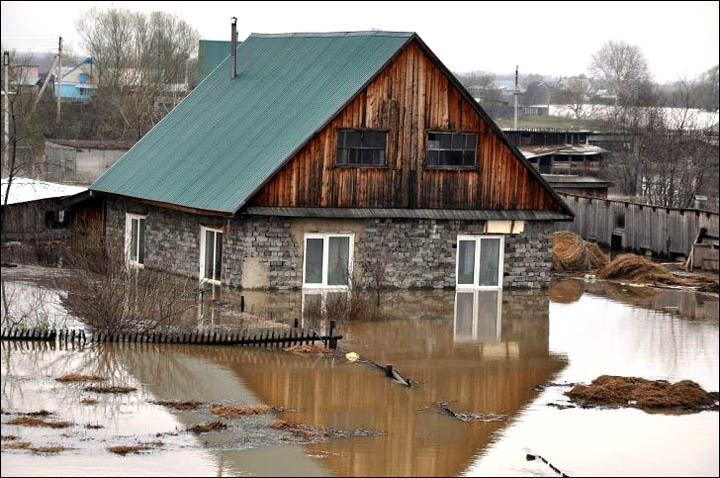 Sergey Ivanov, head of the emergency department at Zarinsk City council, said: The work to reinforce the dam and Chumysh basin were carried out but it didn’t allow to keep control of the situation because the water is spreading massively. It was simply impossible to stop it'. A council statement added: 'An evacuation of the residents of the Lesokombinat district of Zarinsk has been launched, given the danger of the dam bursting. 'Volunteers are kindly requested to come and help to enforce the dam. Students of Altai State University are arriving to the city to assist in the recovery after the emergency situation in Zarinsk'. The local branch of the Emergencies Ministry said that almost 400 people in 163 vehicles have been deployed to assist across the Altai region. These unweighted long range forecasts are well outside the strength of even the monster event of nearly two decades ago. An new super El Nino that would have very serious consequences for global temperatures and result in far-reaching climate impacts should it emerge. Atmospheric temperatures that are now in the range of +0.7 C above 20th Century averages and +0.9 C above 1880s values could well push into a new range at +0.8 C and +1 C, or higher, respectively. Satellites often detect fires in North Korea in April. As snow retreats in the spring, many farmers use fire to clear away last year’s crop debris and to fertilize the soil for the coming season. Such fires generally remain small and produce only modest amounts of smoke. But sometimes they escape the control of their handlers and push into forests on the country’s mountainous terrain. As in several recent years, control was lost in April 2015. 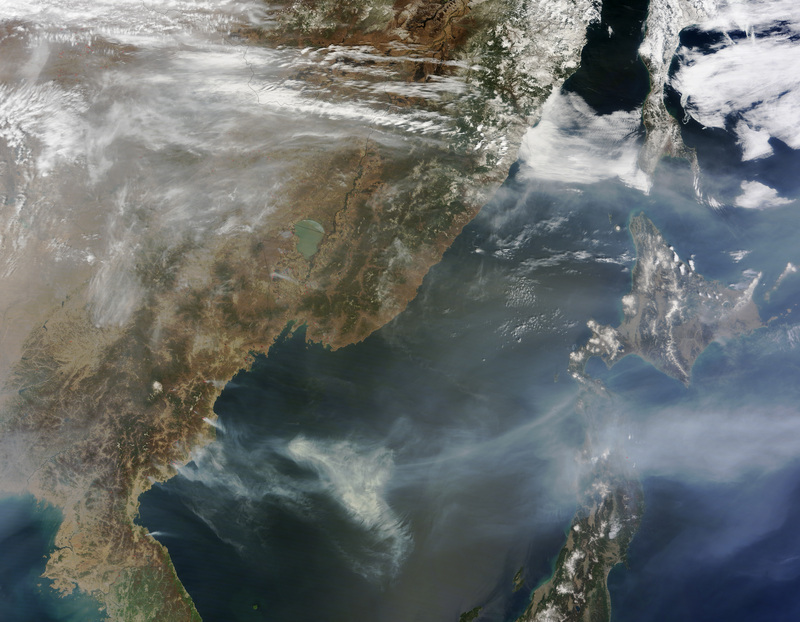 When the Moderate Resolution Imaging Spectroradiometer (MODIS) on Terra passed over North Korea on April 27, 2015, the satellite observed several large fires burning in the eastern part of the country. Actively burning areas, detected by the thermal bands of MODIS, are outlined in red. Fields and grasslands, mainly in coastal plains and river valleys, appear light brown. Forests at lower elevations appear green; at higher elevations, forests are still brown at this time of year. Many of the larger, smokier fires appear to be burning in forested highlands near cultivated river valleys. MODIS first began to detect the fires in significant numbers on April 23. 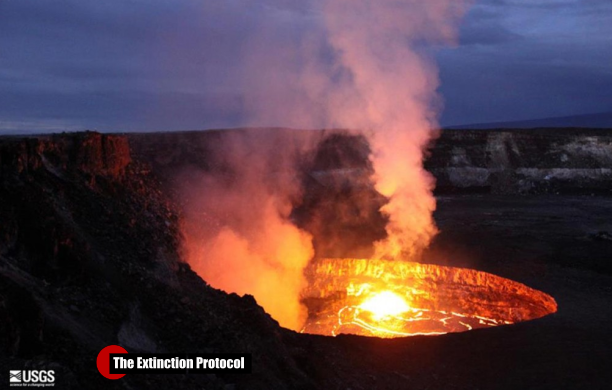 By April 27, the number of fires had increased and many had grown significantly smokier. MODIS also observed a sizable plume drifting east over northern Japan. North Korea faced a serious drought in the summer of 2014. While reasonably warm and wet weather was a late-season boon to crops in November, a dry winter followed. Dried out forests have raised concerns about potential food shortages in the spring. 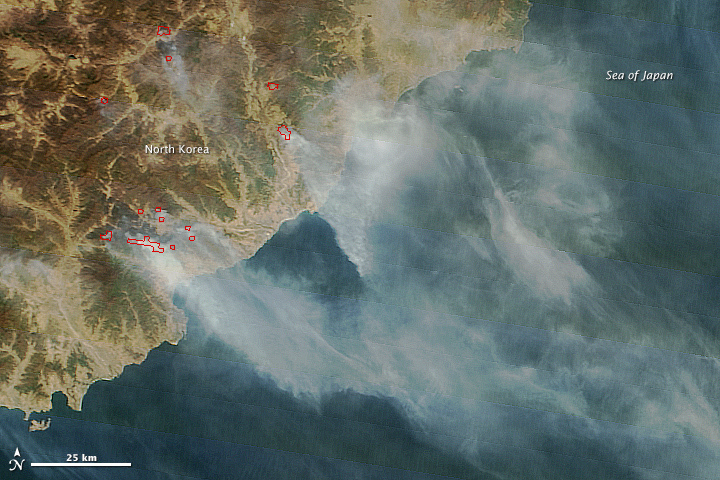 NASA Earth Observatory (2015, February 7) Fires in North Korea. April 27, 2015. The Washington Post (2015, February 7) Dry winter sparks fears of another food crisis in North Korea. April 27, 2015. USDA Foreign Agricultural Service (2015, February 5) Favorable Weather in North Korea for Winter Crops. April 27, 2015. 2. Chung Y. 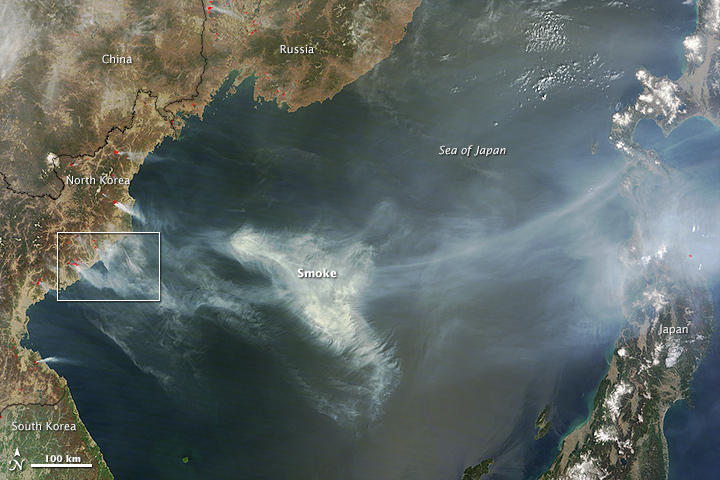 & Kim H. (2008, July 19) Satellite monitoring of forest fires and associated smoke plumes occurring in Korea. Air Quality, Atmosphere & Health, 1 (2), 111-118. 3. Global Forest Watch North Korea. Accessed April 27, 2015. I did a Google check on the world media and how they are covering this. NOTHING from CNN and both the BBC and AP had brief pieces quoting "Ukrainian authorities". The fires are put out and, of course there's no radiation!! "Breaking windows is worse than a broken spine" This CNN interview by Wolf Blitzer reflects the inherent racism in US media. In this video during the Baltimore uprising journalists are repeatedly targeted by the police department and shot with less lethal munitions. Clearly journalists do not pose a threat in any way with cameras that are visible to the police so why are they getting targeted? In Baltimore journalists are not only attacked by protesters but also have to worry about police officers who target them now. 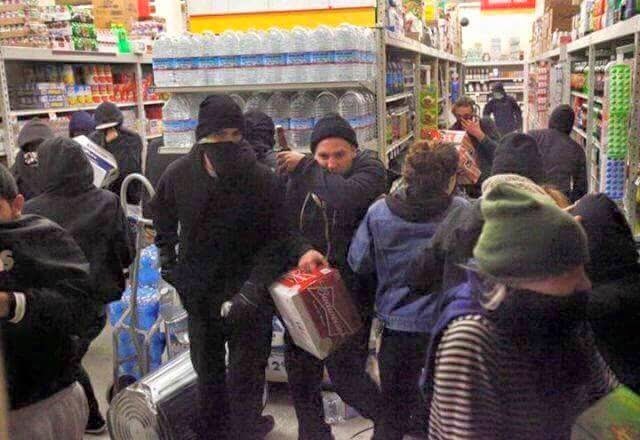 Andre Fursov: "The racial lid has blown off the American melting pot"
Russian historian and sociologist Andrei Fursov recalls that in the U.S. the sort of clashes we see in Baltimore are not isolated. Our press doesn't write at all about some of the incidents of this nature, considering them minor internal issues. But, in my opinion, there is no doubt that in the U.S. there is increasing social tension and polarization of society. We are talking about a stand-off — class in form and racial in content. America has long passed the peak of its development, and since the mid-1970's, figuratively speaking, "is moving to the sidelines of history." Another thing is that the US have accumulated a lot of social "fat," their multinational companies are robbing the whole world. And in the 1990's they "cleaned up" the former socialist countries very thoroughly, primarily Russia. But fortune doesn't give anything forever, and since 2007-2008 their crisis is rapidly developing. The problem with USA is that they consume 3-4 times more goods and services than they produce. Such imbalance must come to an end. Clearly, we are seeing a deterioration of the average American income. According to sociological studies, the quality of life today corresponds to the period of the late 1950's – early 1960's. First under distress are the African Americans and Hispanic citizens. Naturally, this causes a protest, increasing discontent. One well-known American sociologist in a personal conversation with me (during our perestroika) said that the U.S. will go through it's own perestroika [reformatting - KR] no later than 2020. And since it will be based on race relations, it can be very bloody. 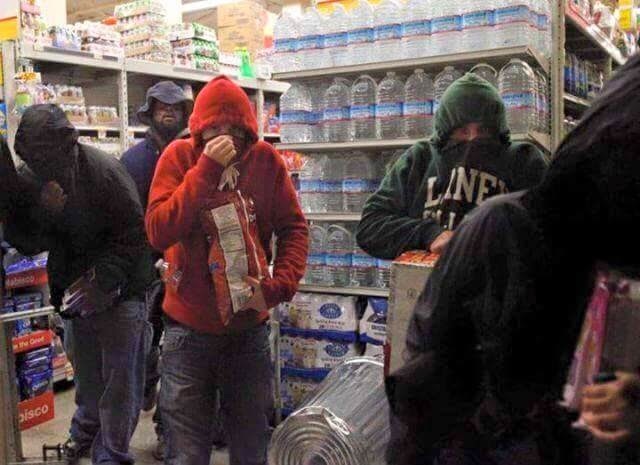 What we see in America is a systemic crisis of the US as the core of the capitalist system. And it will only deepen. The ethnic balance of the United States is actively changing (considering migration flows and a higher rate of childbirth among African Americans and Hispanics). In some southern States the Hispanics are pushing the whites [in numbers]. The same thing happens with black people. However, the American elite is concerned not only with the riots at the bottom of the social pyramid, but the fact that they will elevate the non-white elites to the top. And this will mean major changes in the structure of the ruling class. Of course the current black politicians are the "black servants" of the white elites. When some point to Obama or Condoleezza Rice as confirmation of the thesis that America is "a country of equal opportunities", I say: American elite very carefully selects that portion of the non-white population, which according to the specifics of their psycho-type can work in the interests of the white elite. Obama, judging by his reaction to the clashes in Ferguson and Baltimore, takes the position of his class. And no matter what color his skin is. 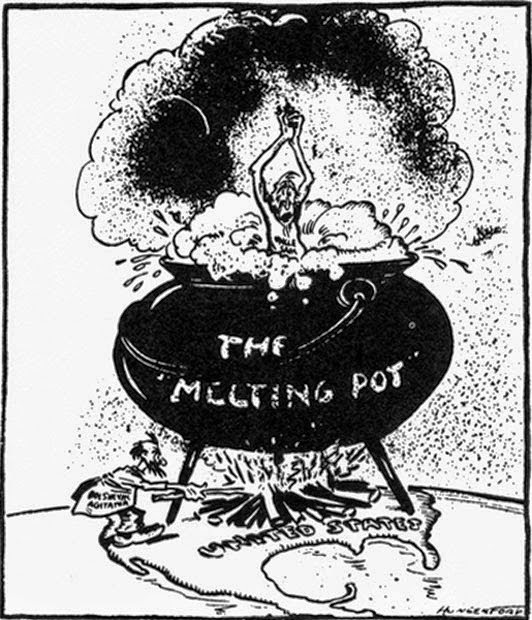 Either way, we see that the much-vaunted melting pot has overheated and is no longer functioning. Neither Hispanic nor African-Americans don't want to integrate into the world of the "American dream". Because today it has been destroyed. It should be noted that the "American dream" is part of the era of prosperity of capitalism, which is associated not with its internal logic, but with confrontation with the Soviet Union and the socialist camp. From 1945 to the late 1980's, the US (and Western Europe) were forced to "feed" their middle and working class in order to make the American model attractive in their eyes. Because the Soviet Union was nearby, were the idea of social equality was embodied in the most complete form. 1960 to 1970 in the US was not capitalism, but a necessary deviation from it. An attempt to simulate socialism to appease the middle and the working classes. And when the USSR collapsed, capitalism returned to a state of the "iron heel", in which it functioned in the late 19th – early 20th century. Therefore, the US has very serious trials ahead. Likely they will try to get out of this difficult situation through the path of war. As it has already happened in the 193o's of the 20th century. The "export of chaos" means channeling their problems to the outside world. We are told about the successes of the "New deal" of Roosevelt in the 1930's. In my opinion, these historians "bring the shadow to the fence". Actually the "New deal" has only created new problems. Not accidentally in the mid-1930s Roosevelt got a very serious opponent in the person of the Governor of Louisiana, Huey Long, who became the prototype of Willie Stark, the hero of the novel "All the king's men" by Robert Penn Warren. This character created a society of property redistribution across America. But at the end of the book, of course, he was killed by a "lone wolf" (as later in real life - John F. Kennedy and Martin Luther king). In the late 1930's, the US was faced with a choice - either major social reforms that encroach on the capitalist class, or a world war. We know which option they chose. Incidentally, it is highly symbolic that Franklin Delano Roosevelt began to use this expression six months before Hitler. Today the U.S. is in the same situation. In terms of nuclear deterrence unleashing WWIII is very unlikely. Rather, the White house is trying to achieve a "global chaos". By the way, in the late 1980's the US was on the verge of collapse, saved only by the collapse of the USSR. On October 19, 1987 Dow Jones fell by 22.3%. It was an absolute record. And Alan Greenspan, who was then called to lead the Fed, said: "We will only be saved by a miracle." This "miracle" was the destruction of the USSR. If this has not happened, the US would come on hard times. And to cope with us militarily was completely impossible. Of course, unlike Russia of the Yeltsin era it is impossible to topple us by force today. Another thing is to create a zone of instability around the perimeter of our borders, it is possible to support the Nazis in Ukraine, or send radical Islamists to Central Asia, that is, to contain the Russian Federation in every way. America is in a very difficult position. 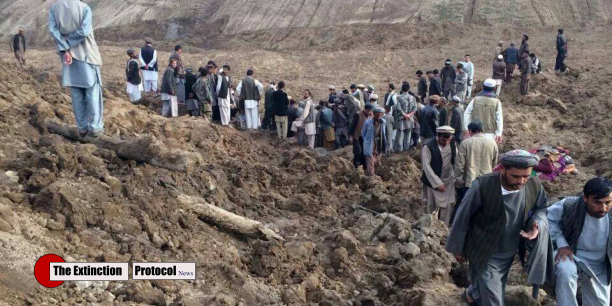 But this is the hole that they dug themselves. One interesting American scholar Chalmers Johnson, wrote a book "Blowback" in 2000, which predicted that in the first half of this century the U.S. will get a blowback for their policy in Asia in the second half of the twentieth century. First, this study did not receive much attention, but after September 11, the book was reprinted. As Chalmers Johnson wrote two more parts of the trilogy ("the Sorrow of Empire and "Nemesis"). In fact, he explicitly showed the collapse of the American Empire. It makes sense to listen to the forecasts of this person. Because he is not just a publicist, but came from the CIA, a specialist in the fight against the guerrilla movement in South-East Asia and also an expert in Japan. In his opinion, in the 1990's under Clinton, the US ceased to be a Republic and turned into a military empire. And it is crumbling before our eyes. 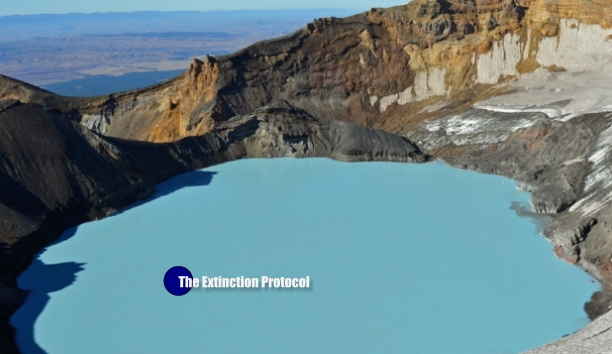 This is a huge dying "dinosaur", but his "seizures" can be very dangerous for the world. Especially considering the crisis of the elites in the USA. There are no real contenders for the presidency, only the "familiar faces" – representatives of the ruling clans and dynasties. Grandma Clinton, unimpressive Jeb Bush (the brother of the 43rd U.S. President George W. Bush) and Mitt Romney. On the one hand, the crisis of the elites in the United States plays into our hands – these people can make mistakes. But on the other hand — not very adequate people can start trouble. Therefore, we need to "keep our powder dry", and to live by the principle: "We are peaceful people, but our battleship is standing by". Wake up Australians and New Zealanders! !